This ar15 flash hider is one of the most effective on the market! 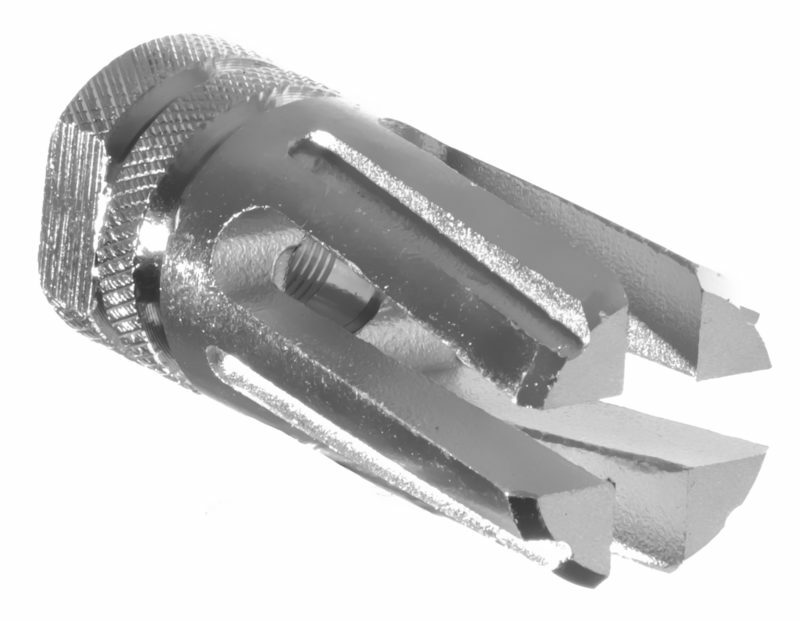 The four prong design assists in avoiding the rapid erosion of closed-ended units. It also eliminates muzzle flash, even on CQB length barrels. This ar15 flash hider is made of a high-strength corrosion resistant steel and has a stainless steel finish for the highest level of durability.